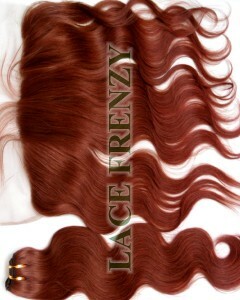 As clearly stated 360 Frontal hair piece is a closure for covering exposing pieces of sewn in bundles. This wonderfully crafted hair piece allows any wearer the advantages of low to high styled ponytail hairdos. Where’s as the standards sized 13X4-13X6 inches Lace or Silk Base Frontal closure hair piece only slow limited styling with sewn in wefts . 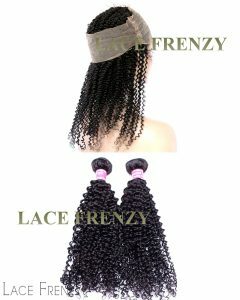 These Lace Frontals are either sewn on or adhered with wig glue or wig tape after wefts/bundles have been sewn onto one’s natural braided hair over a weaving net, after cutting excess lace material and aligning the frontal piece with your own hairline for undetectable appearance. But which one of these hair pieces are best for your hair-styling needs ? 360 Band Lace Frontals are measured as 22 inches ( circumference) X 4.5 inches ( front to back)X 2 inches . 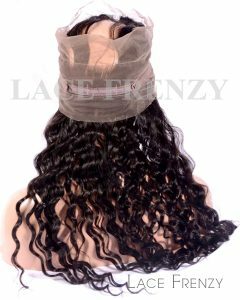 These circumferential lace frontals are available in Silk Base ( hidden knots) and Full Swiss lace with adjustable straps for a secure fitting. Once placed on the head , most frontal wearers will only require two -three double weft bundles to close the opening in the center. Several visual tutorials are available on YouTube. What are the Con’s of the 360 Band Lace Frontals? – Learning curve: Learning would be the first step, you’ll have to find the best proper braiding patterns required for not only comfort ,ease of style but also a seamless appearance while wearing. – Closure Adhesives: There are several types of adhesives available in the market, but only few will works well with an individual’s chemistry so there will be trial and error period until finding the ideal adhesives. – Maintenance : Just like your natural hair these human hair pieces that requires proper care . From washing and deep conditioning. This has to be done every 2 to 4 weeks. More frequent during warmer weathers. What’s the Con’s of The Lace Frontal Hair Piece. Limited Restyling Window- due to the frontal sizing 13X4 or 13X6 inches you are limited to what hairstyles you can recreate with this base size. Without exposing wefts . Adhesives- just like the 360 frontal choosing the best chemistry matched liquid or tape adhesives will take trial and error until you find the best one. Maintenance and Care – As with all human hair pieces and wigs . For longevity of your hair pieces the proper hair care products and restyling tools are high priority to have beautifully coiffed hair. What are the Benefits of Wearing Both 360 Frontals and hair bundles? 4. Choosing a-natural hair color in Brazilian Virgin Human Hair gives a stylist the option to ombré style or balayage style a client hair extensions . 5. Choosing a Silk Base 360 Frontal with matching bundles – gives a realistic scalp and amazingly beautiful hair that’s available in many popular hair textures and hair lengths. What are the Advantages of Wearing Both Lace Frontals and bundles? 1. Lace Frontal hair pieces covers thinning hairlines. Giving a fuller appearance of the hairline meanwhile boasting the individuals confidence. 2. Choosing bundles kits gives the wearer several options from choosing desired layered hair lengths to give the wearer the option to have a tapered hairstyle right out the bag. 3. Just like the 360 frontal with matching bundles kit you can choose desired hair textures and hair lengths. Which is delivered direct to your door. So, with these amazing benefits, at anytime you can choose your favorite hair extension style and color to give yourself an instant new head turning look. This entry was posted in 360 Band Lace Frontals, 360 Frontal Wigs, 360 Lace Frontals, Hair, Lace Frontals, Silk Base 360 Frontals, Silk Base Closures, Virgin Human Hair 360 Frontals with Bundles, Weave Knowledge and tagged 13x4 Lace Frontal and Bundles, 360 band lace frontals, 360 Frontal Closures, 360 Frontals with Bundles.